This year at the 2014 SEMA Show the Mustang took centre stage as it celebrated its 50th birthday. In conjunction with this AMSOIL has added a new viscosity to its Signature Series line specifically formulated for high-horsepower Ford Mustang engines requiring the Ford WSS-M2C931-C performance specification. AMSOIL Signature Series 5W-50 Synthetic Motor Oil is fortified with a robust additive package, including top-quality detergents and dispersants to help prevent sludge deposits and keep engines clean. It withstands the stress of high horsepower and heat, resisting viscosity loss due to mechanical shear and maintaining protection in metal-to-metal contact regions for maximum engine life. Like its Signature Series siblings, AMSOIL Signature Series 5W-50 excels in extreme temperatures. It resists thermal breakdown to maintain protection in high heat and it contains no wax, allowing it to remain fluid in the low temperatures for improved oil flow and protection at startup. Signature Series 5W-50 is designed for maximum efficiency. It exhibits an extremely low volatility rate to control oil consumption and emissions. The CBC posted their top eight ways to save on fuel as prices continue to climb at the pump. I don’t agree with all of them. Choosing supreme gas for an automobile that specifies regular won’t improve fuel mileage since octane ratings are for compression. You may see some improvements in fuel economy if you choose a fuel that has no ethanol in it since it’s energy content is lower than gasoline [wikipedia]. Sparkplugs last longer than a year. You may not want to go the full 160,000km on the same set and be sure to replace them with high quality plugs at or above OEM specs. I would move the behaviour items further up the list too. Stops and starts as well as speeding can really increase your fuel consumption. AMSOIL has released a revised line of end cap oil filter wrenches to cover almost all of the Ea Oil Filters for automotive and motorcycles. All filters use a 3/8″ square socket drive to get into hard to reach locations. Once the filter is hand tightened, only wrench-tighten 3/4 of a full turn or to the torque specification in your maintenance manual. Continue reading for more info on the sizes available and which Ea oil filters they fit. 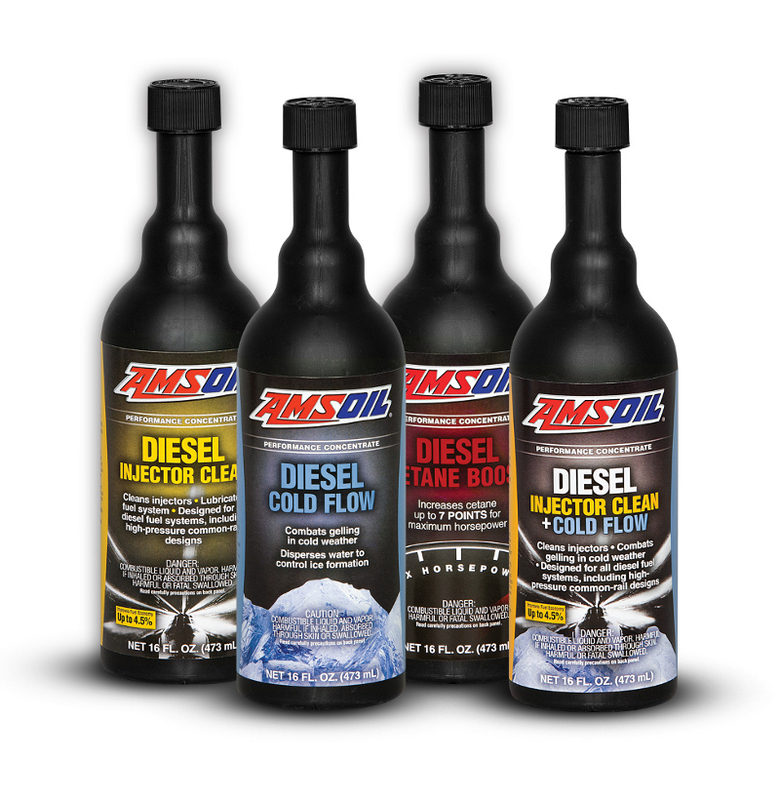 The AMSOIL diesel fuel additive line boasts several improvements with AMSOIL Diesel Injector Clean (ADF) and AMSOIL Diesel Injector Clean + Cold Flow (DFC) featuring new formulations. They are designed to clean both the tough-to-remove deposits surfacing in modern high-pressure common-rail (HPCR) diesel engines and traditional injector deposits. The formulations of AMSOIL Diesel Cetane Boost (CCB) and AMSOIL Diesel Cold Flow (ACF) remain unchanged. All four products feature bold new packaging. In May of 2013 AMSOIL released a study of their Signature Series 5W-30 Synthetic Motor Oil tested against synthetic offerings from nine popular competitors by an independent, third party laboratory. AMSOIL’s ATF products have been elevated to the Signature Series family, now known as Signature Series Multi-Vehicle Synthetic Automatic Transmission Fluid (ATF) and Signature Series Fuel-Efficient Synthetic Automatic Transmission Fluid (ATL). While formulations and pricing remain unchanged, the robust nature of these products was further proven in intense field testing allowing AMSOIL to introduce new application and service life recommendations. Field testing was conducted in Las Vegas taxi cabs. As you can imagine, Las Vegas cabs endure continuous stop-and-go conditions in extreme desert heat which makes it an excellent location to test these products. Signature Series Multi-Vehicle Synthetic ATF and Fuel-Efficient Synthetic ATF offer the most benefits in applications where heavy towing, elevated temperatures and challenging terrain are common. As transmission sumps are shrinking these robust fluids offer piece of mind and the ability to extend service life in some applications. I’m excited to see the addition of the Mitsubishi ATF J2 specification to the Signature Series Multi-Vehicle Synthetic ATF (ATL). This will directly apply to my 2009 Mitsubishi Outlander and is great to see an after market fluid for this application. AMSOIL has released a new online application guide that can help you find the correct AMSOIL synthetic oil and related product information for your snowmobile. 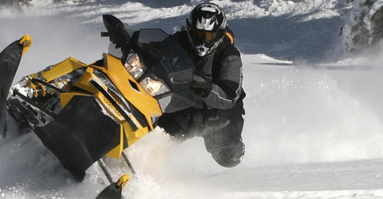 It covers Arctic Cat, Ski-Doo, Polaris and Yamaha models from today and back to the 1990′s. Enter the year, make and model into the guide and it will provide you with following information, specific to your model. Amsoil also provides and updates extensive application guides and cross reference tools for auto & light truck, motorcycle, ATV, marine and more. These are great tools to help you to discover and research the fluids and specifications required for your equipment. As always though the main source of information should be your owners manual. I’ve decided to do a yearly drain and fill on my 2009 Mitsubishi Outlander transmission fluid instead of the flush every 2 years as suggested in the manual. The dealership flushed the fluid after the first two years so I’m sure most of the contaminants from break-in are out of the system and now it’s just a matter of keeping the fluid fresh and making sure it isn’t breaking down. Transmission fluid quality is important for all vehicles but what stresses it the most is high fluid temperatures which can be generated while towing or on loose surfaces like sand and to a lesser extent snow. Amsoil doesn’t sell a transmission fluid that meets the specifications of the DiaQueen J2 fluid for this vehicle at this time. I appreciate that the company does not push consumers to a generic ATF product if it doesn’t meet the spec. Amsoil stands behind their lubricants with their warranty secure program so if the application guide suggests an Amsoil product for your vehicle you can use it with confidence. The leaves turning, nights getting cooler and mornings crisper is a signal that the seasons are changing. It’s time to start thinking about putting away summer equipment while looking over any winter gear that may need some work before the snow flies. Don’t forget to maintain those daily drivers to help them make it through another winter. The fall is the perfect time to change the oil on your daily driver if you’re on an extended 6-month/15,000-km schedule using either the Signature Series or the XL Series from the 3 tiers of AMSOIL engine oils. Our 2005 Vibe was changed last weekend and is now good until May of 2013 or 20,000-kms. I think it’s too soon to put the bikes away but those early morning starts without synthetics in the crank case may become a bit more harsh. Try one of the AMSOIL motorcycle oils to help with extream temperatures like cold starts and hot idling in the heat of the summer. In my opinon fresh oil is the best way to store any piece of equipment/vehicle. AMSOIL motorcycle oils have excellent anti-corrosion additives that lesser oils may be lacking. How do you remember what needs to be done? Especally if you’re maintaining the equipment for an entire house, family or small fleet? 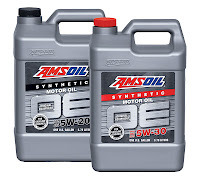 AMSOIL Original Equipment Synthetic Motor Oil is ideal for cost-conscious customers and customers hesitant about taking advantage of extended drain intervals. Now OE 5W-20 (OEM) and OE 5W-30 (OEF) are available in gallon containers – no mention yet of the other viscosities and if they will be available in gallon containers. I don’t normally stock OE oils but put your order in before my weekly trip to the distribution centre on Thursday evenings. Contact me to place an order or if you have any questions.